ABC-CBN TV Plus has helped us save hundreds to thousands of money because ever since we had it, we never had to pay ₱500 for our cable’s monthly bill. It was indeed a huge savings for us. We’ve been using ABS-CBN TV Plus for almost 5 years now and we’re happy with it. We don’t watch TV that often, but when we do, the channels that are available are good and clear enough to let us watch the latest news and select TV programs. Sometimes, we encounter issues with the TV Plus like having no signal, but it’s not a big deal because it’s very easy to fix. In this article, I’ll share with you some of the issues that you might encounter with your ABS-CBN TV Plus and the steps to fix it. If your TV Plus shows No Signal or with just a blank screen, here are some steps on how to fix it. 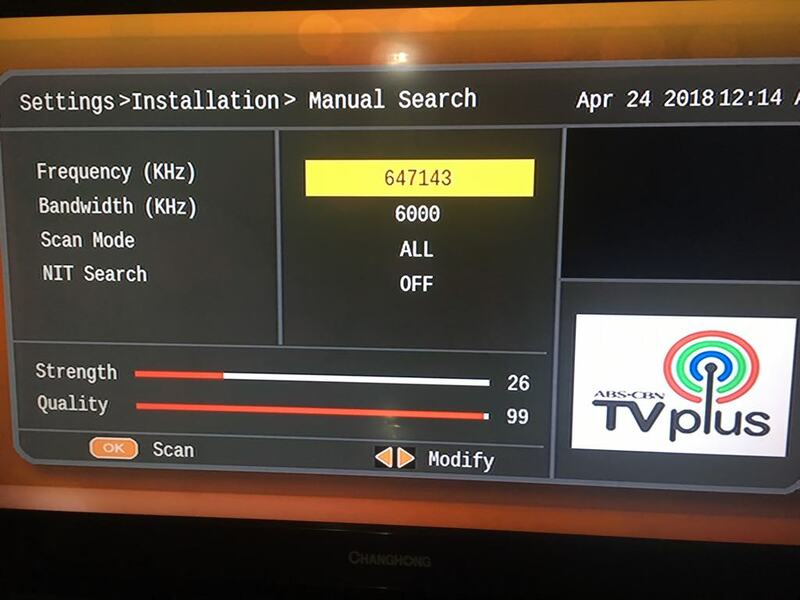 Check if the cable that connects your ABS-CBN TV Plus black box to your TV is plugged in properly. Turn on both your TV and the TV Plus black box. 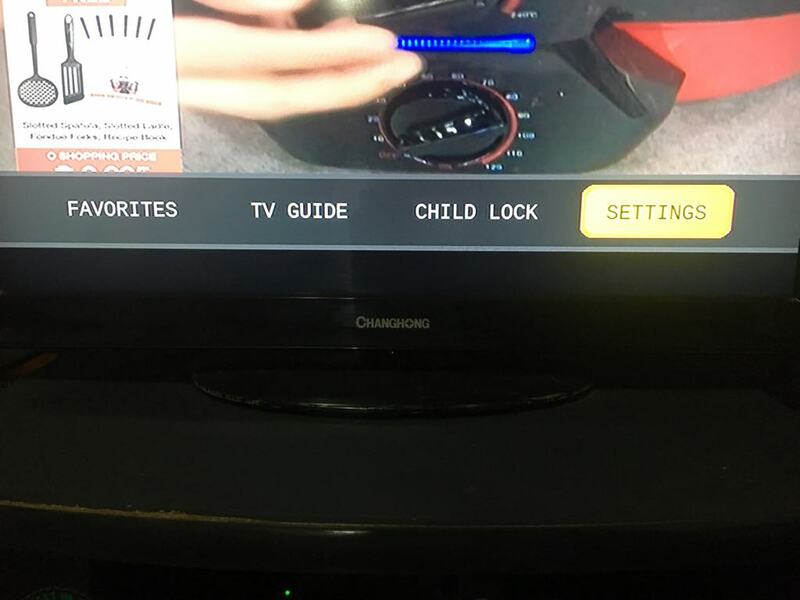 Using the remote of your TV, press the Source button. Choose the cable that your TV plus black box is currently using. 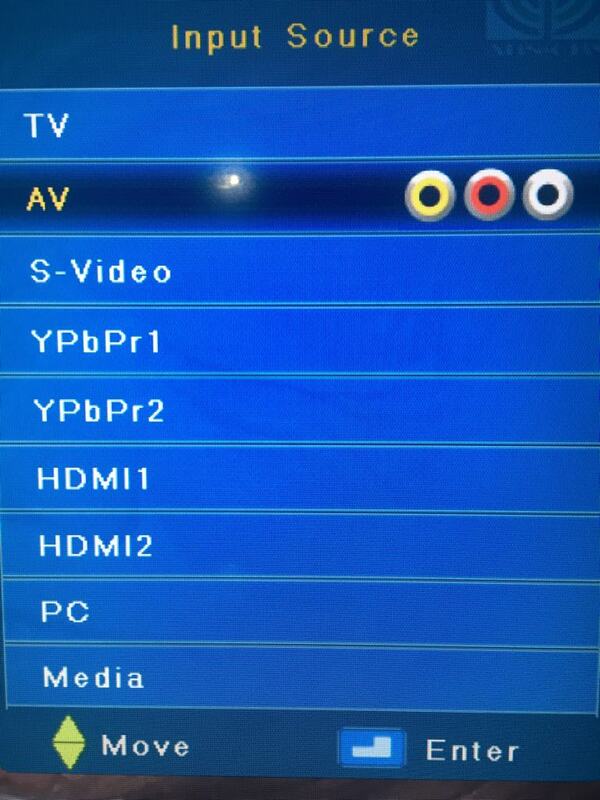 It can be AV, HDMI or any of the options under Input Source. If one option doesn’t work, try another option until you see something on the screen. Using your ABS-CBN TV Plus remote, press the MENU button. Select SETTINGS from the menu (highlighted in yellow below). Select INSTALLATION, then Factory Default. Enter the PASSWORD, which is 0000, then click YES to confirm reset. Go back to the INSTALLATION menu again, then select MANUAL SEARCH. Set the FREQUENCY to 647143, then press the OK button to scan. Click the EXIT button once the SCAN is 100% completed. Wait till it the scan is 100% completed, which may take 2-3 minutes, then press EXIT. 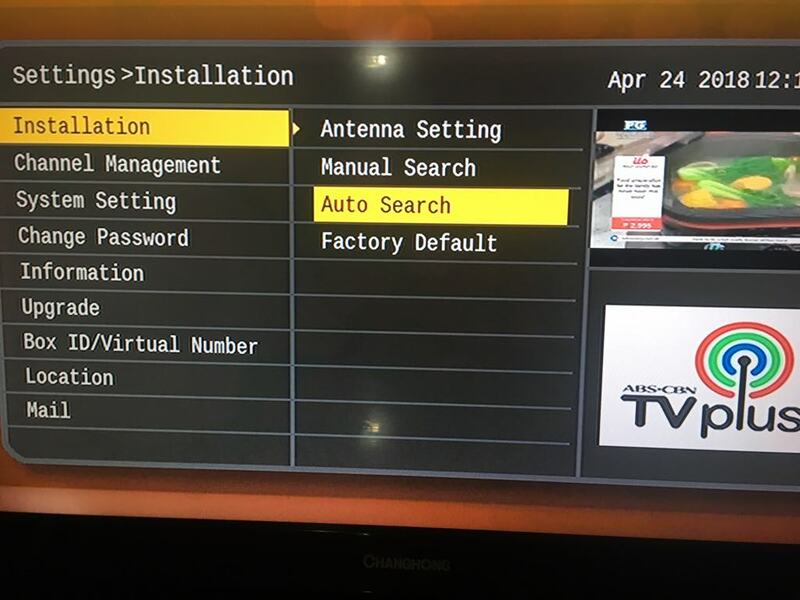 The missing channels should show up after doing Auto Search. If this error, E48: No Signal appears on your TV screen, just adjust your antenna and find the perfect spot that gives you the best or strong signal. If this error, E16: Scrambled Channel appears on your TV screeen, switch the channel to ABS-CBN channel or to Sports and Action Channel. Wait for 20-30 minutes. After that, you may now switch the channel back to your desired or preferred channels. If you can’t still watch exclusive channels on test broadcast like Cinemo, Yey, Knowledge Channel, DZMM Teleradyo, and KBO, you may send a text message to 23661. ABS-CBN TV Plus is really an inexpensive way to watch TV programs like local news and movies. But you have to remember, that the channels are only limited and you might encounter some signal issues depending on your location. Nonetheless, TV Plus is still a good device to use and you can purchase it for as low as ₱1,500 in Lazada and save a few hundreds from your monthly bills. Paano maayos ung TV plus na nka signal locked ,and OTa downloading?? 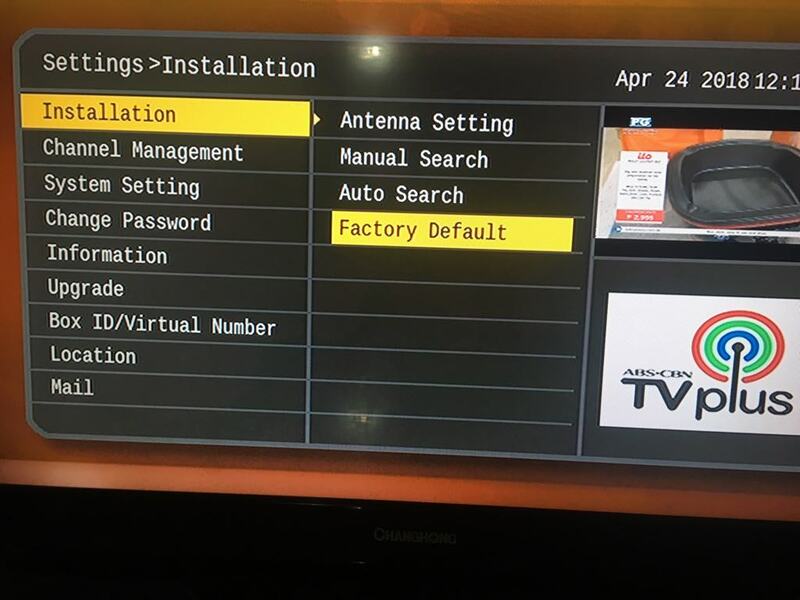 paano maayos po ung tv plus na nka signal lock? what is the required signal strength and signal quality to have a smooth broadcast? the signal quality sometimes fluctuates and causes choppy or freezing screen. usually lags or bad signal happens at night and when raining. my parents love watching probinsiyano however here in Dau, Mabalacat only channel 7 gma has the clear signal on abs-cbn box. btw on my other led tv with digital signal builtin choppy signal doesnt occur. it means the coax going to the antenna is fine. Also the 5v control under antenna settings, what does it do? is it better turn on or off? Wala pong ABS-CBN channel sa ABS-CBN TV Plus namin. Ano pong gagawin para magka ABS-CBN na po? Na-fix na po ba yung issue nyo? Having the same issue with my new TV plus. Been trying to contact their helpline pero di naman sila sumasagot. Paano poba ayusin ung naka signal lock at Ota Downloading po. Nagbblue po ung screen ng tv nmin then pagni long press mopo may lumalabas na Tv plus ota [ enter reason ] : fp pressed! Ganyan po sna po matulungan nyo po kme .maraming slamat po. Same here. One month na hindi ma fix yung problem. Strength 17 and quality 25. GMA and gntv lang nakukuha. Impossible daw talaga pag Ganyan strength and quality. Bakit po yung tv plus namin naka locked yung signal hindi po namen alam gagawin please help me!. . Papaano mo tanggalin yung mga channels sa TV plus na naka-block para hindi na lumabas pag nag up/down channel button? How do I get channel 46 NBA premium to work on TV PLUS. Is this a paid channel and if it is why list it on TV Plus. What do Zushi have to do to activate it. Thanks.